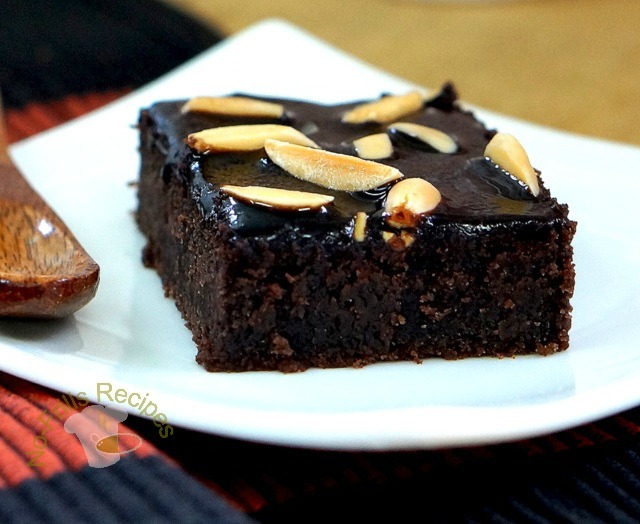 To kick-start 2016, I'm sharing with you a sweet and delectable chocolate slice. 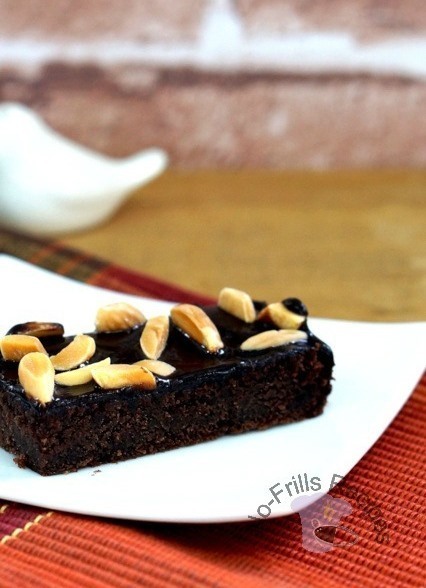 Adding some fizzy cola to this chocolatey slice not only makes it soft and moist and with the nutty topping, it's just impossible not to go for a second helping. Pour melted butter into sifted icing sugar, whisk well. Whisk flour, sugar, bicarbonate of soda and salt in a mixing bowl. Whisk egg, buttermilk and vanilla in another bowl. 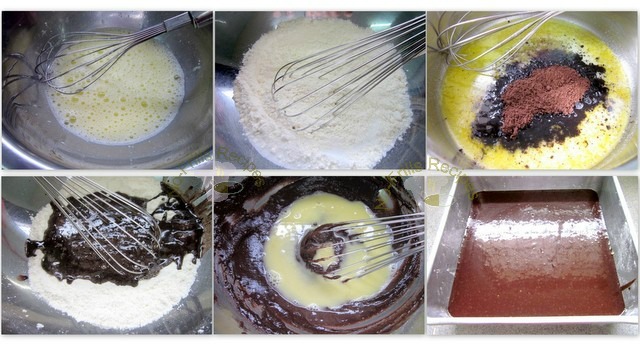 In a saucepan, melt the butter and whisk in the cocoa powder, oil and coca cola. Just bring to a boil and remove from heat. Let cool for about 5 mins. Once cooled, pour this into the dry ingredients, mix well. Add in the whisked egg and buttermilk mixture, mix well. Pour the batter into a greased 8 inch square pan. Bake in a preheated oven @ 180 deg.C for about 28-30 mins till the top is firm and skewer inserted comes out clean. Let cake cool for a while. 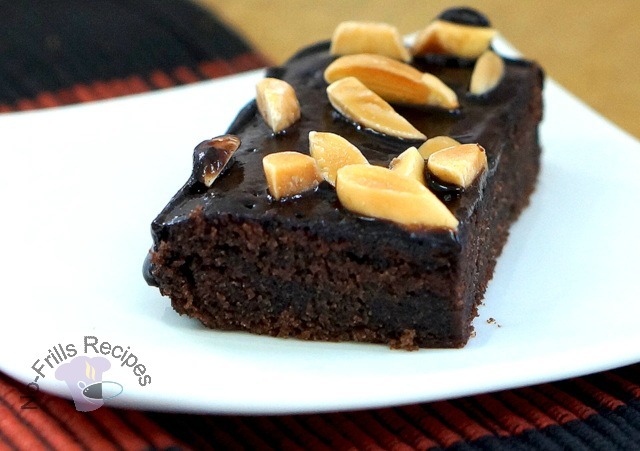 Pour the frosting onto the warm cake for it to soak into the cake to make it moist and fudgy. Sprinkle on the lightly toasted nibbed almonds. 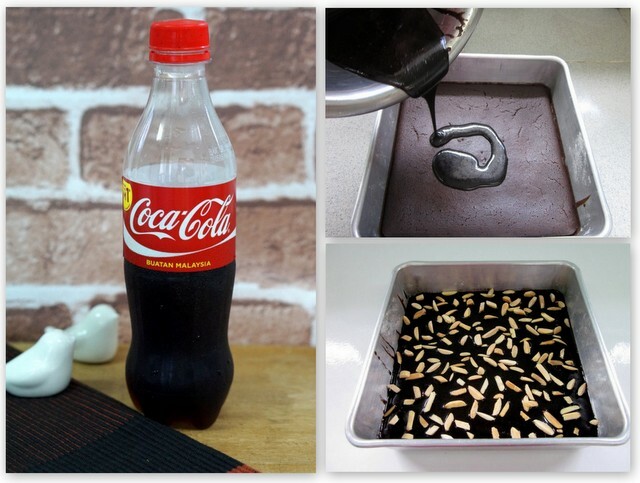 You had me at coca cola. Try this, I will. 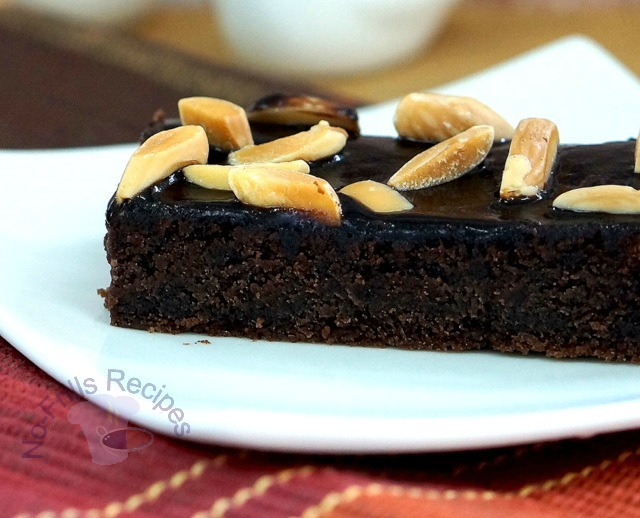 I love how moist and dark your chocolate slices look. Bet the taste just as amazing as the look. Interesting recipe. Does the cake taste of coke at all? No, not much, but can still get a hint of coke from the frosting.